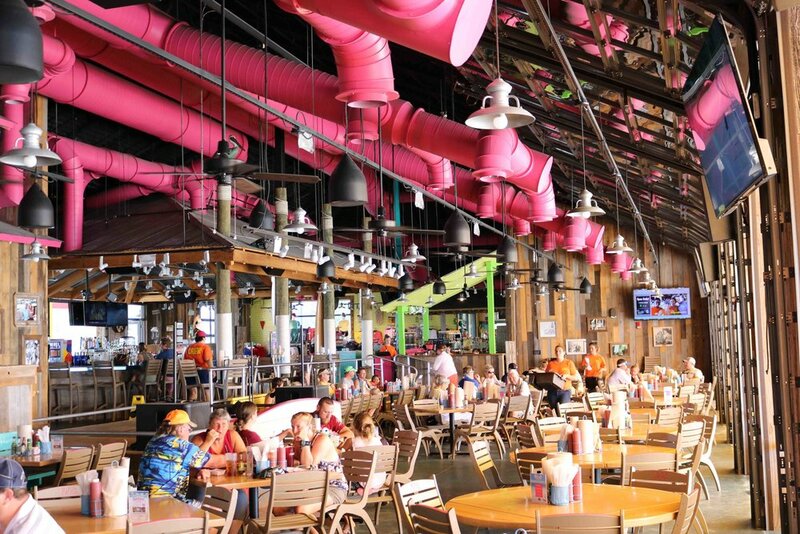 Lucy Buffett's Lulu's is a Florida beach bar located in Destin. Discover this great Florida beach bar. Music: Yes, see music schedule on website. Unique Feature: Lulu's Jellyfish Jumper and Seahorse Slide- fun activities for the whole family! Lucy Buffett's Lulu's is about escapism and crazy fun and you get that sense immediately when you walk in. It's very clean, the staff is friendly, and you'll love walking around looking at the beautiful old pictures of the Buffett family hanging on the walls. It's a very open concept floor plan that looks out onto a private beach. You can even see the duct work in the ceiling because it's painted a crazy fun pink! A band was playing on top of the outside beach bar which was a fun surprise when we were trying to figure out where the music was coming from! The beach has Adirondack chairs and a fun water play area for the kids. Weather permitting, there's also a seahorse slide and jellyfish jumpers! Did we mention Lulu's is about crazy fun? We tried out their "Beat the Wait- Go Online to Get In Line" concept through their website. It worked perfectly. It was like a ticket to the front of the line when you arrived! It's a simple idea but it really adds to the overall experience by reducing your wait time and getting you to escape faster! We had a lot of delicious food including Lulu's Famous Seafood Gumbo, the Fried Green Tomatoes, and Crazy Sista's Crab Toast (it was amazing!). We also had the Loopty Lu which is a Lulu's original drink made with Margaritaville Last Mango Tequila, Deep Eddy Lemon, lemonade, sweet and sour, and grenadine. Lulu's also has a complete Allergy Menu. A post on Facebook recently went viral from a mom who posted that her son was never able to eat at a restaurant until she heard about the steps Lulu's takes to ensure it is safe for those guests with allergies. Lulu's staff gave her a tour of the kitchen to even show how they prepare the food in a completely separate food preparation station. We hope more restaurants take Lulu's lead to make quality food accessible for everyone! Well done Lulu's! If you are looking for a beach bar that gives you a family friendly environment, great food and drinks, live music, a beach and activities for the kids, shopping, a water view, and a place to escape from the ordinary, Lucy Buffett's Lulu's is for you. 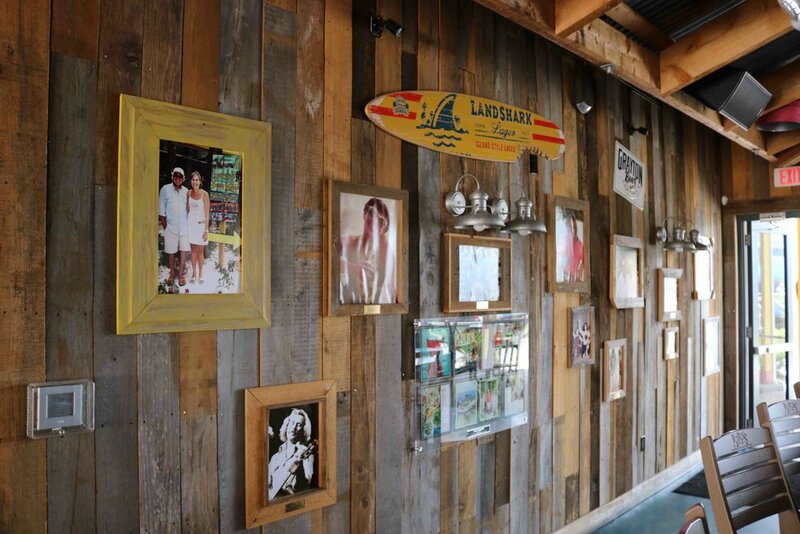 Pay them a visit and don't forget to spend some time to look at all the pictures and details that are woven through each corner of this great Beach Bar!